Every year me & my big sister have a little tradition to go shopping on Boxing Day. This year we hit both Leeds & Manchester city centre, along with The Trafford Centre & White Rose. Now I don’t know whether it’s just me, but I never find anything decent in the Boxing Day sales, regardless each year I still go & brave the madness of sale shoppers! This year my only purchase from the sales were a pair of cute little Tartan shorts by Vero Moda – which when I came home to try on were too small. Whoops! Anyway, I managed to snap up a few full priced items on my little outing, each fairly decently priced items. I bought these a while ago from Asos but decided to return them as I was in two minds about them, but when I saw that they had been reduced to £16 and I got a further 20% off I gave them a second chance. 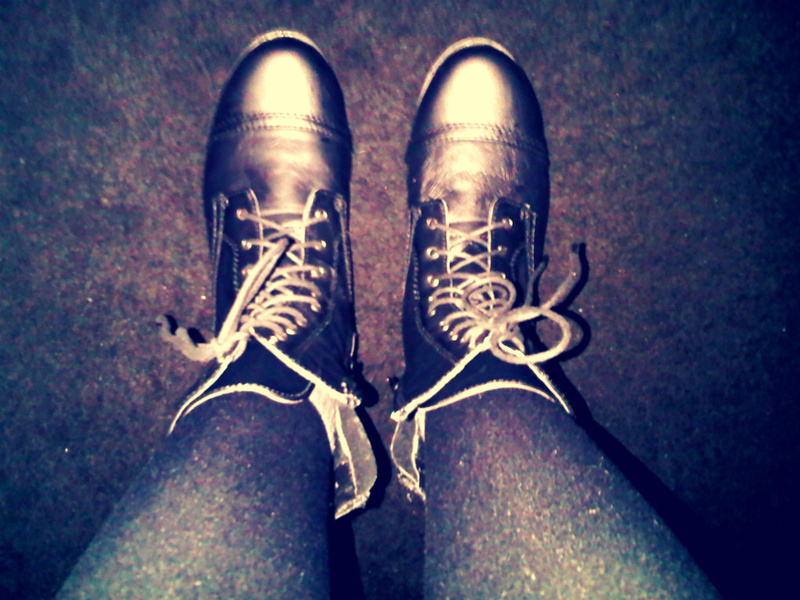 I now love them & can’t wait to wear them out. They have two slanted pockets at the front and a lace overlay. What I love about these shorts are the sleek and original design, as a lot of lace shorts I have seen in the past can be quite tacky and cheap looking! My mission at White Rose centre was to find a pair of these, as my River Island snow boots have started to fade (sad face). I found some really nice real leather ones in Dorothy Perkins for only £35 but they only had size 3 left (damn size 4 being so common)! Regardless I tried them on, & to my dismay they were too small! Then I happened to stumble upon these little gems which were in the exact same style as the Perkins ones! wooohoooo!! They were £15 cheaper too! BARGAIN! With me being a little ditsy at times, I forgot my student house key back home in Manchester! As I was going out in Leeds that night, I had to buy some heels to wear (flats just don’t cut it). I was lucky enough to find these beauts in New Look for £22.50 (student discount rocks!!). My sister spotted them first, but I instantly fell in love & just had to have them! They measure at 5inches, which is a long distance to fall.. & like I said, I’m ditsy & fall alot! I’m preparing myself for lots of cuts & bruises. Well I know this isn’t exactly an item of clothing that I bought, but I just had to include it within this section! 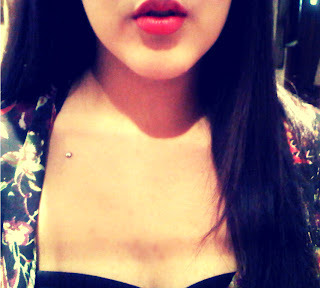 I’ve been wanting to get a micro-dermal piercing for some time now, and I finally plucked up the courage to get it done. I must say, it didn’t hurt at all & it was over within seconds. It definitely is my most favourite piercing to date.